Fusion of dreamy lilies to charm. 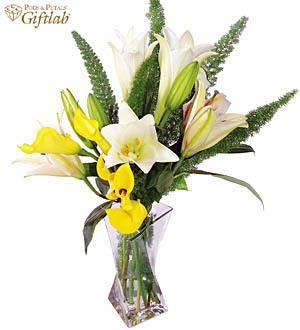 Calla Lilies, Madonna Lilies and Fruit Casas in a chic glass vase. Measures approx. 80cm.